This goes out to all solution marketers and the solutions sales professionals. 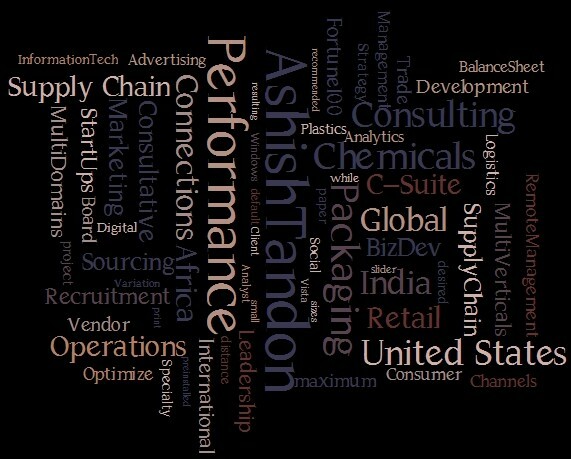 The following is based on my current and contemporary understanding of solutions marketing at the HULT Business School, attending Prof. Stephen Hurley’s classes, and what I have practiced as a solutions sales specialist during my roles in chemicals and print & packaging businesses across India and Africa. STEP #1. Discover where your customer is today. Before you call on a prospect, use the Internet or business contacts find out as much as you can about where the prospect is today, what’s going on with their business, where they’re having problems, how happy they are with the products they’re currently using, how they currently do things which your offerings might help them do better. When you initially meet with your first customer contact, ask open-ended questions to obtain information that fills in the details you couldn’t find out through your research. STEP #2. Discover where your customer wants to be. After you’ve got a solid picture of where the prospect is today, gradually transition the customer conversation to asking questions about your contact’s vision for the future, what would it be like in a perfect world, what’s worked so far, what could work better, how the contact would feel if that problem were solved, etc. You need to understand the customer’s destination before you can help your customer to arrive there. STEP #3. Position your solution as the best vehicle to get from the current situation to the desired one. Based upon what you’ve learned in steps 1 and 2, craft a vision of a solution that can help the customer make the transition to a better future situation. Present only those elements of your products and services that are part of that tightly-focused solution. Don’t confuse your customer with all the features and functions of your solution that are irrelevant to his or her needs. STEP #4. Repeat steps 1 through 3 with multiple, increasingly important, contacts. Every customer contact will have a different perspective on the current situation and the desired goal. For each customer contact, discover that perspective and position your solution so that each person involved views the solution as crucial to his or her long-term business success. As the sales process continues, your solution will increasingly and widely perceived as being of great value to the customer’s firm. STEP #5. Close the deal. If you followed the four steps above, you have already positioned yourself to close the deal. The main thing here is to have the courage to actually ask for the business, at the right time, and with the right people in the room.